Just finished my first kind-of-original pedal. 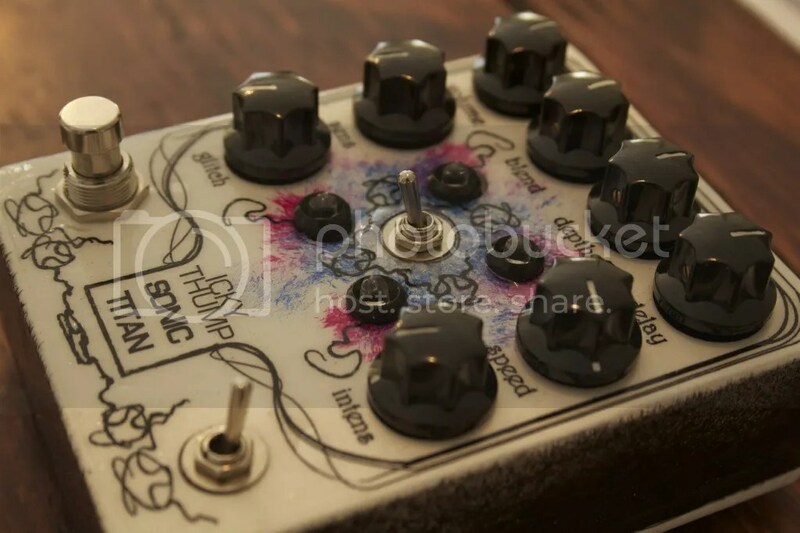 At the heart of the “Icky Thump” is a PT2399 driven delay, with about 800ms max time. A “glitch” control reduces the voltage to get some icky gated sounds. Modulation: here’s where things get interesting..
“Modulation” wiggles the pitch producing the chorus/vibrato sound. Envelope modulation is controlled by the “sensitivity” knob and is driven by harsh/softness of your picking. LFO modulation is controlled by “depth” and “speed”. It’s still the prototype and needs some tweaking but I’m quite happy with how it turned out.